Home » Expert Roofer » Hiring a Roofing Company in Vancouver? Don’t Risk Inexperienced Roofers! DIY projects can be a fun way to personalize, customize and feel connected to your home. There is a sense of accomplishment and reward that comes with completing a job yourself. Unfortunately, not all areas of your home are straightforward and easy to repair or update. Your roof is one of those areas that require a trained eye, experienced hands and professional knowledge to get the job done right. Always bear in mind that the roof is a critical structural component of your home and plays a big role in protecting occupants and your belongings from the elements. Proper roofing maintenance, repairs and replacements cannot be done without the right tools and training. You may think you will save money by calling a handyman or doing the job yourself, but it is worth investing in expert Vancouver roofers to keep safety and structural integrity intact. Contact Absolute Roof Solutions for professional, friendly and efficient roofing services. We provide residential and commercial roof services to residents and business owners across Lower Mainland Vancouver. Rely on our team for all your roofing needs and eliminate the worry and risk associated with hiring untrained, inexperienced, or unreliable contractors for your roofing work. Dishonesty: It is great to give a new roofing company in Vancouver a chance, but when it comes to roofing repairs, there are many factors that can lead to more risks than rewards. Inexperienced roofers and those who have not been in the industry long enough will try to make good on the fact that most homeowners do not know or understand much about roofing systems. If your contractor is constantly advising the need for additional work and your bill is growing far behind your original quote, you may be falling prey to inexperience and dishonesty. Ask for clear explanations and avoid the risk in the first place by hiring a reputable roofing company in Vancouver. Licensing: You want the people who are completing work on and in your home to be properly licensed. That means they will have the proper training and insurance to handle unexpected issues or accidents. Don’t trust just anyone with this important part of your home. Hire Absolute Roof Solutions for fully licensed, friendly and fast roofers to complete your job. Delays: Everyone has heard a horror story about contractors who simply don’t show up or left the job unfinished and messy. 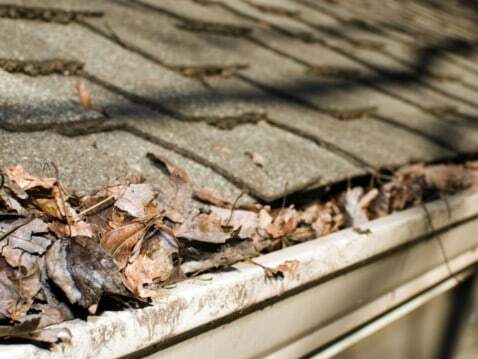 Hiring inexperienced roofers can make these horror stories a real-life nightmare. Unfinished or delayed roofing work can leave your entire home exposed to rain, winds, and changing temperatures. Climbing heating or cooling bills, damaged interiors, and water damage can occur and lead to long-term, expensive damage. An unreliable roofing company will likely refuse to cover the costs, so it is best to go with experienced roofers who can be trusted to complete the work quickly and efficiently. Absolute Roof Solutions employs a team of skilled roofers to expertly handle residential and commercial roof repairs. If your home or business is located in the Vancouver Lower Mainland Area, schedule an appointment with our team. We can perform an inspection, repair, or provide a full replacement and ensure your roof is performing at its best. Don’t take chances with your home or business property. Inexperienced roof replacement companies can cause a lot of damage to your home, leading to structural damage and costly repairs down the road. Contact Absolute Roof Solutions at (604) 263-0334 for professional and experienced repairs you can rely on all year round.